Award-winning fish & chips and B&B at the foot of Loch Lomond. My dad’s favourite saying was: “You’re only as good as your last fish supper.” He arrived in Scotland in 1934 aged 14 after leaving Villa Latina, a small village in Italy that is about 60 miles from Rome. 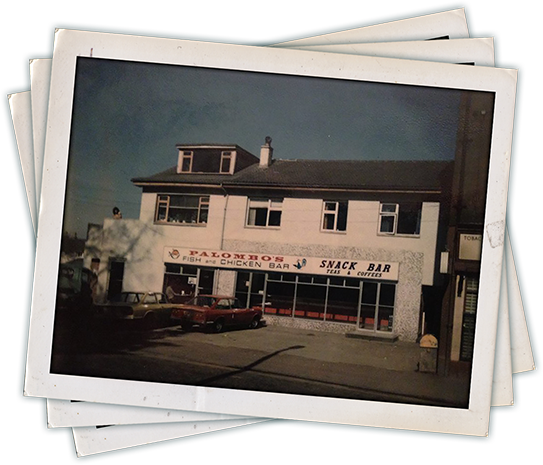 My parents, Ernest and Ida, were married in the 1950s and my dad opened the first Palombos in Alexandria, Dunbartonshire, in 1967. I took over the running of the shop in 1990, then six years later we moved to Balloch, near Loch Lomond, and opened in our current location. My Mum and Dad have both passed but they both enjoyed popping into the shop every day. Our trademark is fish and chips and we have never tried to dissuade people from that. It is mostly haddock we sell but sometimes we will put cod, hake and lemon sole on as a special, but only if I am certain it is plentiful. By that I mean they are not taking fish out of the sea in a way that becomes unsustainable. We also pride ourselves on sourcing products locally to support other small businesses in the area, and have over the years developed an extensive gluten-free menu. We are one of the few places in Scotland to serve a beautiful gluten-free fish and chips. However, since 1934 we have developed the organisation in many directions. We now run a Restaurant and a lovely Bed and Breakfast located above the restaurant on Balloch Road. This site will give you information on all aspects of our business but if you have any questions, or would like to make a booking, please call or email us. We look forward to meeting you! 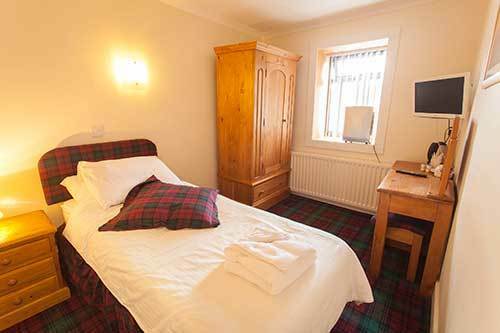 Palombo’s Bed & Breakfast is the perfect accommodation whether you are visiting the beautiful shores of Loch Lomond or need a pit stop before traveling on to the highlands and isles of Scotland. 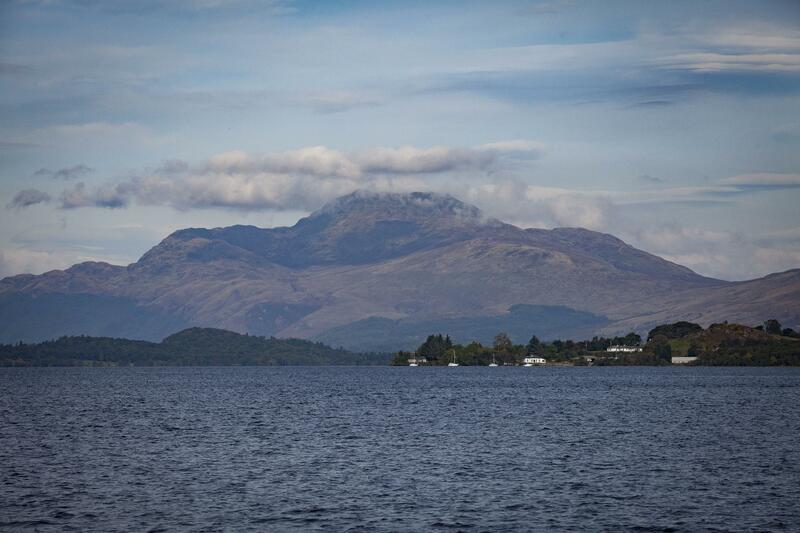 We are situated on Balloch Road, ideally positioned close by all major attractions Loch Lomond has to offer such as Loch Lomond cruises, golfing, cinema, and concerts to name a few. Our facilities are some of the best around with a full service restaurant located on the premises and 24 hour access to the rooms, perfect for guests looking for late nights out or an early morning game of golf. 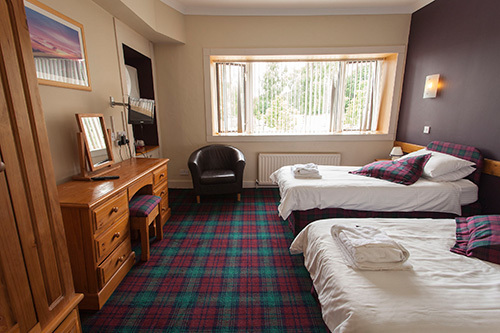 Palombo’s of Balloch also offer the most competitive rates with rooms starting from £45 and prices include full-cooked or continental breakfast, wifi, heating, ensuite facilities, and digital television, CCTV controlled public parking, public use laptops. If you are planning a long stay, please enquire about our long stay discounts and offers (i.e. free evening meal for bookingsof 3 days or more). This is perfect for the business traveler or long stay contractor. 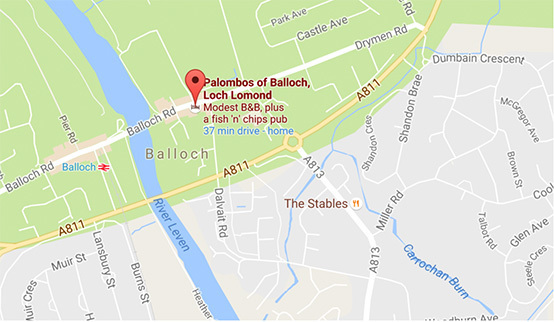 Palombo's Of Balloch Bed and Breakfast is in the perfect location for your trip to Loch Lomond and beyond. Situated at the foot of Loch Lomond, it is perfect for your stay in Balloch, or as a rest haven before carrying on your journey to the highlands and islands of Scotland. We stayed just for one night here whilst travelling back home and found it to be a really welcoming stopover. The room was very clean and had everything you needed. 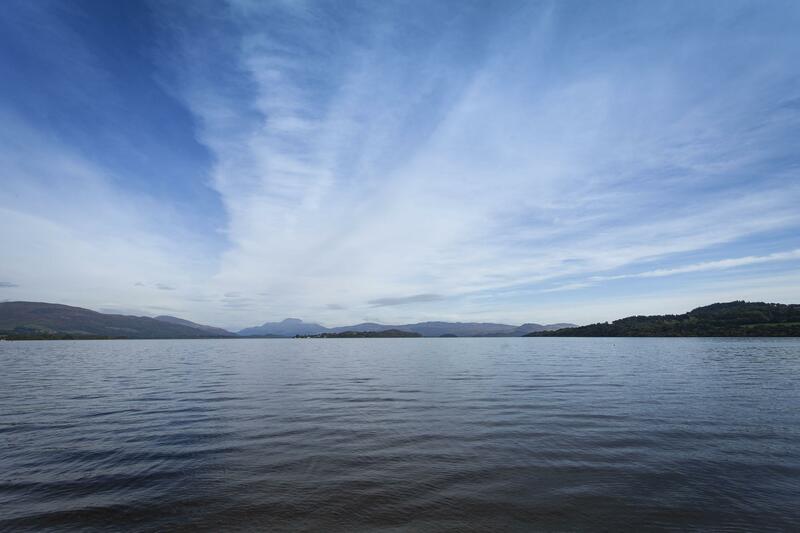 Ideally situated for visiting beautiful Loch Lomond. Our breakfast was spot on and Franco was in attendance to ensure we were happy with everything. You must have the white coffee it was fab and the best coffee we had in all our 5 days in Scotland. We would not hesitate to stay again. We stayed here as an overnight stop on our way to Inverness. It is just wonderful. It had everything we needed in the room. A kettle with lots of tea and coffee available, a comfortable bed with plenty of pillows and a lovely en suite with a good shower with plenty of power. After a good nights sleep we were served a really good Scottish breakfast in the restaurant downstairs by Franco, the owner. A wonderful stay in a wonderful Scottish town right next to Loch Lomond. Thank you. Very friendly staff who are all attentive and helpful, room clean and comfy. Wonderful place, wonderful staff and great food! Loch Lomond Shores is right around the corner as well as a great Park for kids straight across the street. Wonderful people made us feel at home. I loved my visit and the food was great too. Best gluten free fish and chips ever. The fish was so fresh and my husband loves the regular fish and chips too. Our bookings include your Breakfast which is served downstairs in the restaurant. We will cook you a full-Scottish breakfast or variation according to your preferences. We also offer cereals, and serve freshly ground coffee or Scottish tea to start your day. You also have the option to dine in our restaurant throughout the rest of your stay. 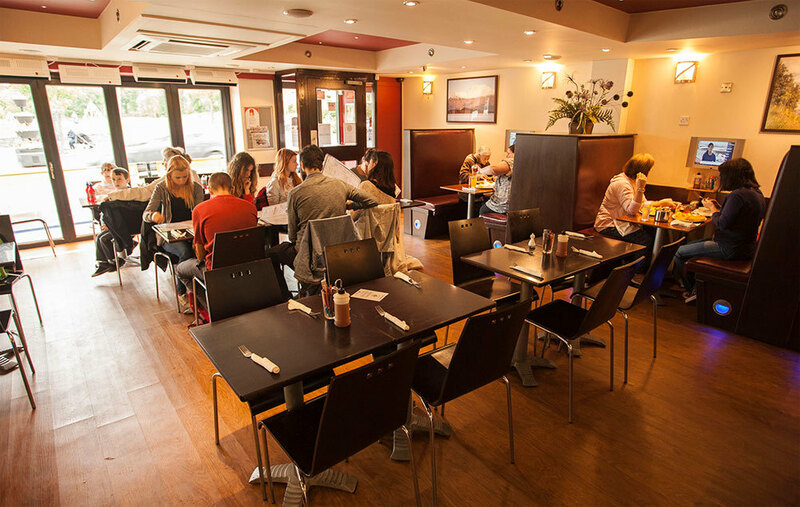 Our menu is varied between freshly prepared meat, fish, and vegetable dishes and we even cater for those of you who would prefer to have a gluten-free fish tea. We also have lighter options on our menu such as baguettes and sandwiches or why not in for a cup of our coffee and a slice of our homemade shortbread. Palombo's of Balloch is an award-winning business, founded in 1967. Ernie Palombo fried his first fish and chips in 1946. He started his trade in Renton, then Glasgow, Bonhill, Alexandria, Italy, and then back to Balloch. His son Franco took over the business in 1990, working with his family to ensure the tradition carried on for many years to come. Our specialty of course are all things fish. 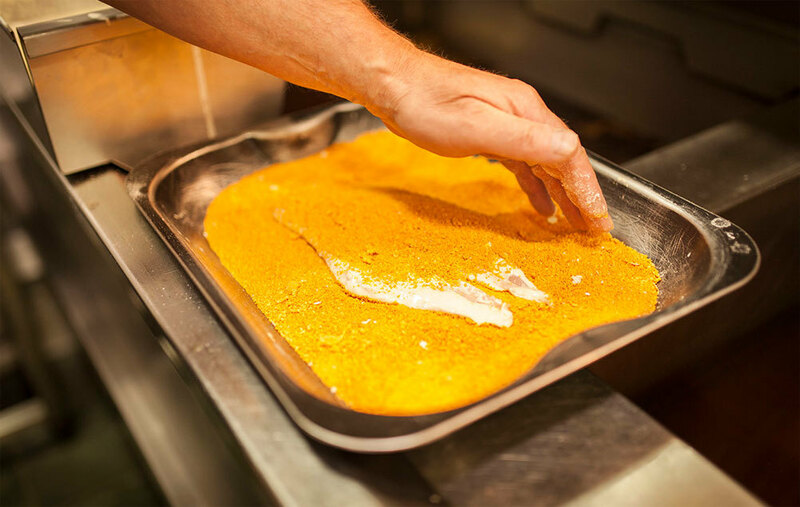 We source all our fish, like other products, very carefully and only accept the freshest and tastiest produce. We also make sure all our fish products (haddock, cod, squid, king prawns, plaice etc,) are caught in Scotland (normally from the west coast) and are completely sustainable. We endeavour to always purchase products locally, supporting local suppliers and producers whilst providing the freshest food. 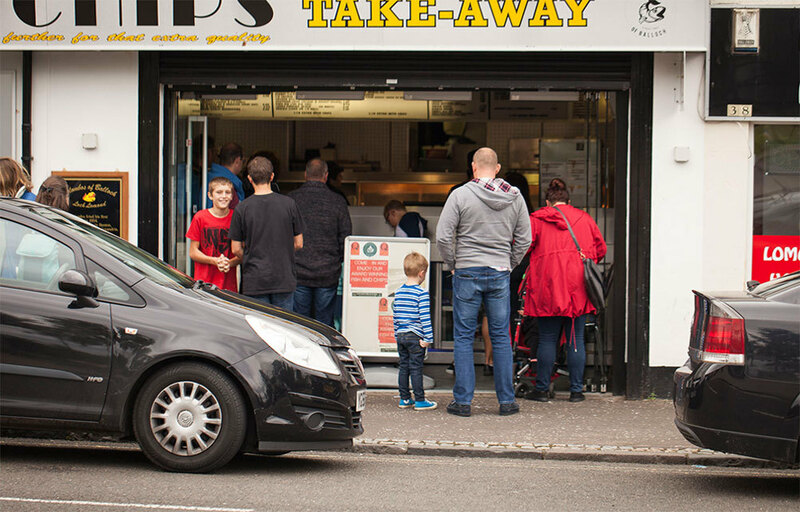 Palombo’s are one of very few chip shops in Scotland with an extensive gluten-free menu. We serve the tastiest gluten free fish and chips. Ask in shop or email us to hear more about our menu. We also do home deliveries from 4.30pm – 9.30pm. Call us on 01389 753501 to place your order and we'll delivery to your door! Saw the Trip Advisor sign so I told my group this should be a really good place. AND IT WAS! I lived in the UK for 3 years and I'm pretty picky about my F&C. After a visit to the Loch, this is just a fine place to grab a really good meal at a price that won't break the bank. Such a treat! We saw on Trip Advisor that they do gluten free fish and chips and decided it was a treat not to be missed. It was well worth it. The staff are lovely and friendly, the service prompt and efficient. The report on the gluten free fish and chips with batter was crunchy, tasty and delicious. Would go again in a minute, if we weren't so far away. We popped in during the afternoon of our visit to Balloch. The food we were served was delicious and they were very helpful as we were quite an awkward bunch! I have to say that having gluten free battered fish available is also a huge bonus! Thank you. The restaurant opens early, 11:30am in the winter and 11:00am in the summer, serving a wide range of food in a relaxed setting. Breakfast ranges from a full Scottish breakfast to hot filled rolls, or just enjoy a cup of tea or a freshly ground Italian Coffee. We have an extensive lunch and dinner menu with great Scottish favourites such as homemade lentil soup and traditional steak pie to chip shop favourites, haggis, black pudding (with our special whisky sauce) and of course fish and chips! Our stone baked pizza's are made by family recipe and also not to be missed. Palombo’s of Balloch is fully licensed so enjoy a nice glass of wine or one of our many choice of beers with your meal and leave room for one of our fresh baked cakes. Palombo’s is also one of very few chip shop restaurants to serve gluten free options. We make a freshly prepared golden batter suitable for celiac diets. Ask in restaurant for more details. To book please call 01389 753501.